Not that it's any surprise to us, but London's Far Out imprint is really smashing it at the moment, putting out some Brazilian fire left, right and centre. 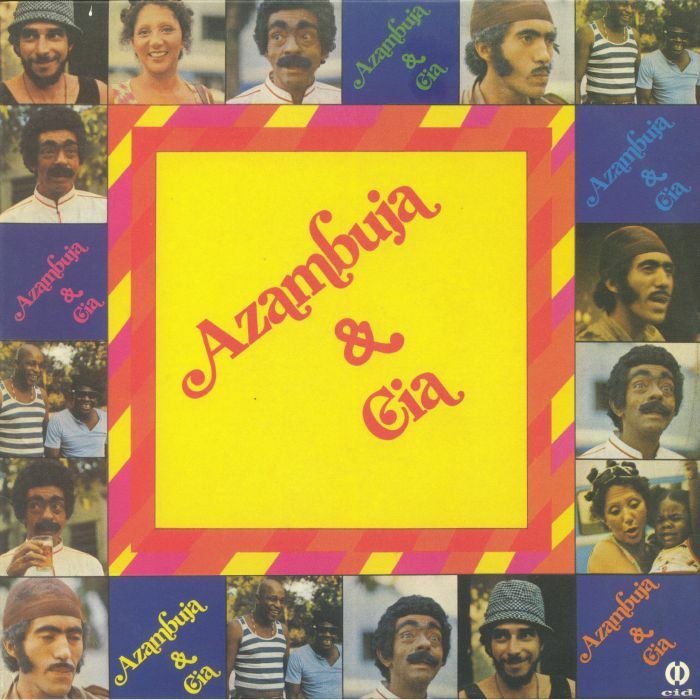 This week, along with an excellent reissue from Baiano & Os Novos Caetanos, we have 1975's Azambuja & Cia, another unforgettable gem from the Golden Era of South American funkin'! 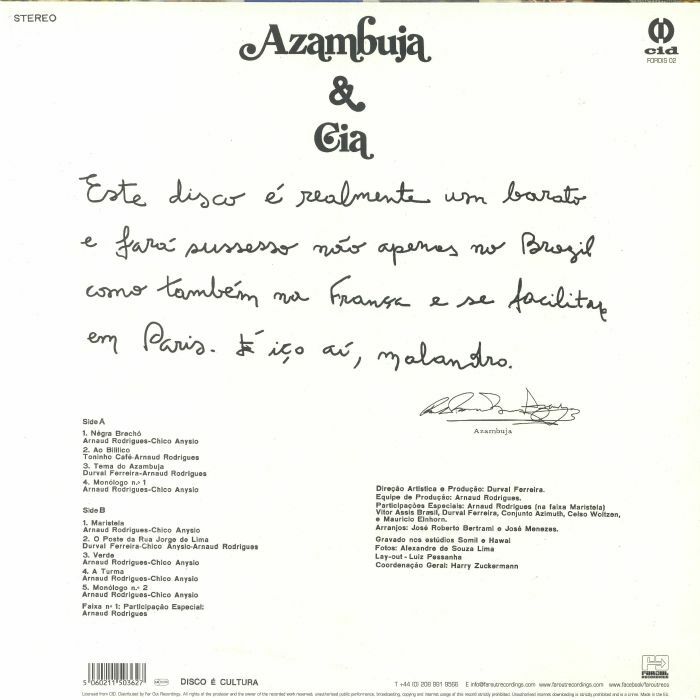 Although there are plenty of moments worth a dance on here, this album is a much gentler, more soulful number which often spans into the livelier end of the jazz spectrum. In fact, this is the vibe right here, with fat basslines coming meandering amid mild-mannered beats and the group's inimitable vocal swagger. It's another Brazilian gem, and one worth copping as a reissue. Magnificent stuff.